Add up in elegance. See all the options yourself. 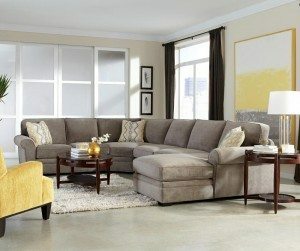 A wondrous collection with matching sofa, loveseat, chair and multiple sectional configurations available. Mix and match to your lasting delight. Hundreds of fabrics to custom order with in-store. 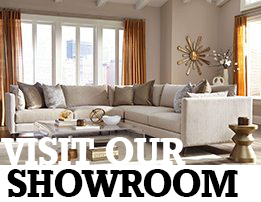 Alternate finishes in Fruitwood, Espresso, Black, Antique Grey or Cream available at no additional cost. 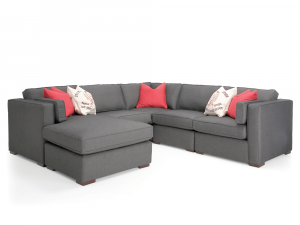 Sectional shown here in multiple configurations. 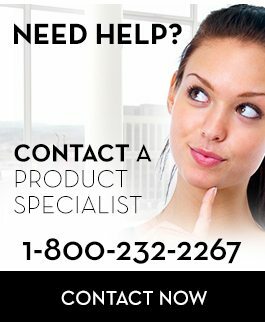 Please call, email or visit us for details. 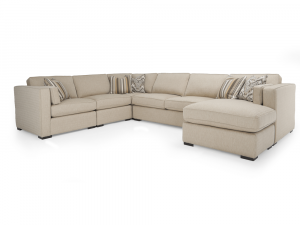 Click here for sectional configurations! It looks like a piece of art on its own! 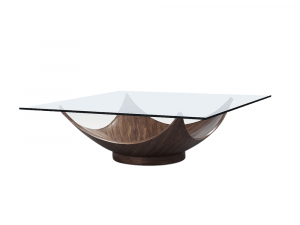 Unique and visually stunning square cocktail table. Features formed walnut wood base where you could place accessories, pillows, whatever you wish, for truly personal expressions. Tempered glass top for lasting durability. 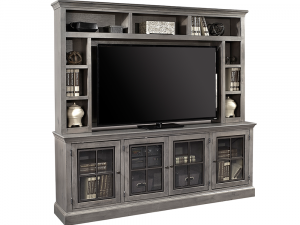 Simply stunning, featuring wrap around crown and base moldings, this jaw dropping Media Center is a centerpiece in any home. 4 doors with metal knob hardware. 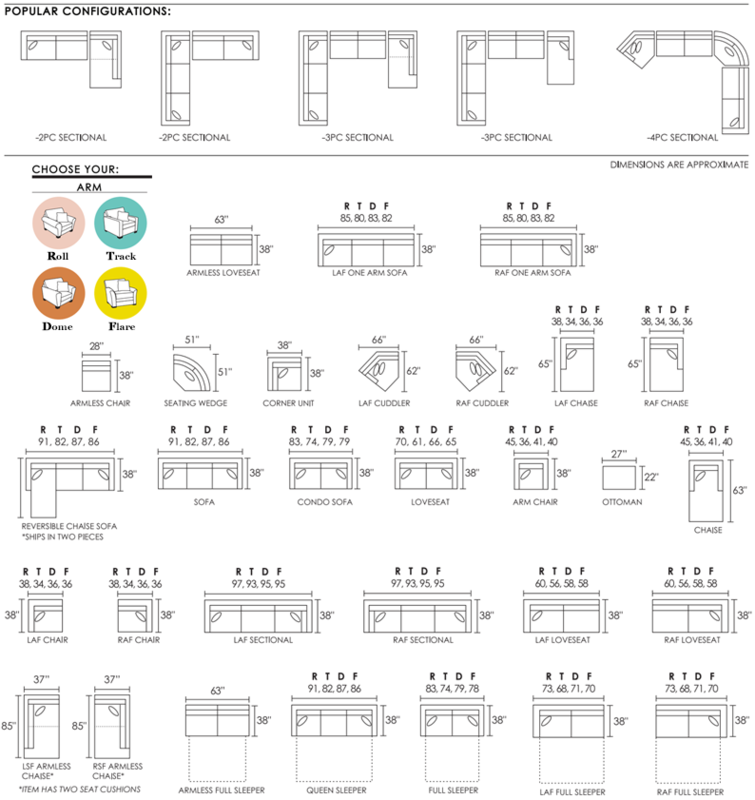 Window frame metal door inserts w/contrasting borders. Hutch can accommodate up to a 65″ TV. Available to order in Ghost Black at no additional cost. Available as a three-door 66” console. 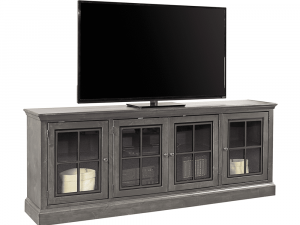 Simply stunning, featuring wrap around crown and base moldings, this jaw dropping Media Console is a centerpiece in any home. Available to order with hutch. Make it cozy, close in comfort. 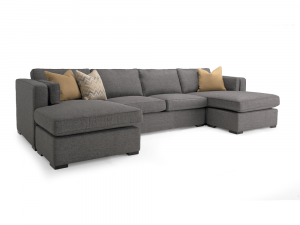 Part of a brilliant series where you can change the fabric, arm, leg and even seat cushion style, so you can truly select your perfect fit. 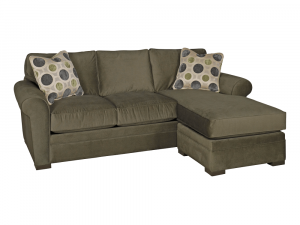 Multiple sectional configurations with matching sofa, loveseat, chair, reclining chair, sofabed, you name it. Crafted from a selection of hardwoods. Shown here as a 2pc. 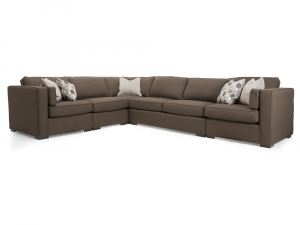 sectional, featuring reversible chaise cushion, in a brown fabric. 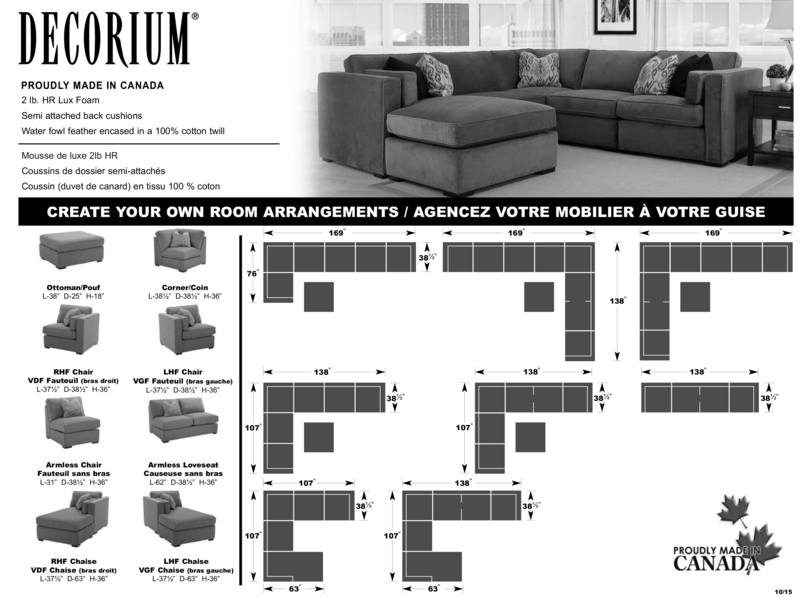 Please call 416 736 6120, or email info@decorium.ca for inquiries. Shown here as a 3pc. 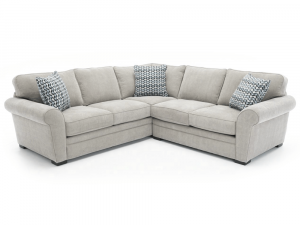 sectional in a grey fabric. Crafted from a selection of hard woods. Shown here as a 4pc. 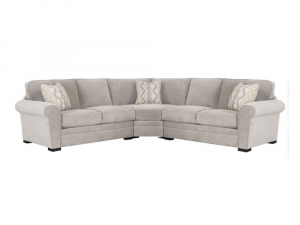 sectional in a light grey fabric. 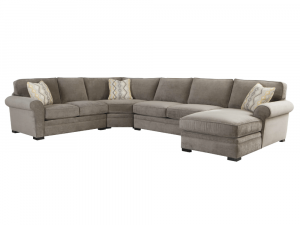 Featuring a classy modern design, that also touches on traditional elements, this suave Italian made leather sectional is a great fit in any contemporary style home. 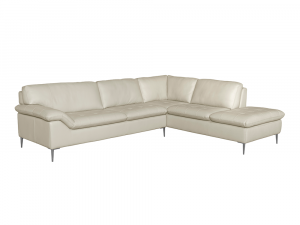 Available to order in alternate configurations and in Bone Grey Leather. Please contact us for details.